Massey Ferguson’s high-performance loaders feature muscle and an extended reach. This range of tractor implements are engineered and manufactured to world-class standards. They are a perfect match for Massey Ferguson tractors. These tractor implements feature pipework, tucked neatly out of harm’s way inside the loader arms. The sleek new ‘clean beam’ design MF 900 Series features bigger lift capacities and lift heights. These tractor implements are available with options to suit tractors from 50 to 190hp. They have lift capacities to maximum height range from 1800kg to 2850kg. 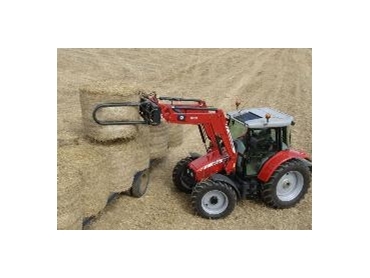 A wide range of modern, purpose-designed tractor implements can be fitted to any of the loaders. These include buckets, forks, bale handlers, silage equipment, and other tractor implements.